Martin Bellow obituary. Carnes Funeral Home. Mr. Martin Bellow, 71 of La Marque, Texas was born on October 7, 1946 in Church Point, LA to Ozema and Gilda Bellow. Martin was suddenly taken from this earth and went to be with the Lord and Savior on Monday, February 5, 2018. Martin enlisted in The United States Army and he served his country from 1968-1971 when he was honorably discharged. After moving to La Marque, Martin Bellow married Jean Mason 41 years ago. Together they had two daughters, Tranika and Celeste. Martin also had two special sons, Keith and Elroy. Martin formed Phillips Industrial Constructors, Inc. with Harold Phillips in 1979 and retired in 1996. Martin was well-known for being a cowboy. He loved spending time with family and friends. Martin formed his own trailride club named, “Circle B” which is still in existence 30 years later. 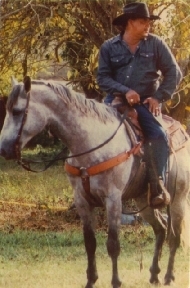 He introduced trailrides to the Galveston County community. He spent time going to trailrides from all over Southeast Texas to Louisiana. Martin loved driving his wagon in parades and trailrides for all his grandchildren, nieces, nephews and friends to ride. Martin loved cook-offs because he loved to EAT!! He made sure his family and friends ate good at the trailrides. He loved watching westerns and listening to zydeco music. He was also the “Handyman” of his community. Whenever you needed something fixed, it was, call Martin. Martin is preceded in death by his parents and 3 brothers, Welton Bellow, Linton Bellow and Gervis Bellow. Martin is survived by his wife, Jean Bellow; loving daughters, Tranika Tottenham (Marcus) and Celeste Bellow; special sons, Keith Williams, and Elroy Thomas (Jennifer); his wonderful grandchildren, Keith, Taj, Jordyn, Maia, and Madox; siblings, Lester Bellow Sr., Regis Bellow (Rose), Marcella Bellow, and Marie Sonnier; a host of nieces, nephews, great nieces, great nephews, great-great nieces and great-great nephews, whom he loved dearly. In addition, he leaves many close friends to cherish their wonderful memories together. A Public Visitation will begin Monday, February 12, 2018 at 10: PM followed by Funeral Services at 11:00 AM. Both Services will be held at Carnes Funeral Home 3100 Gulf Freeway, Texas City, TX 77591. Burial will be Tuesday, February 13, 2018 at 1:30 PM at Houston National Cemetery, Houston, TX. Memorials may be sent to Carnes Funeral Home.